A dog ramp or set of steps is the perfect project so your favorite pet will be able to get up and down those steps outside or to get onto the sofa or bed with you. 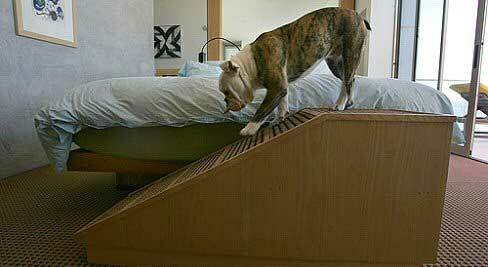 Browse through these free dog ramp plans to find the set of steps or perfect ramp for your dog. 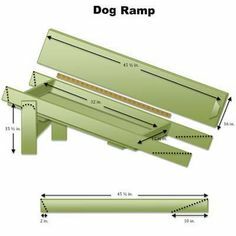 Here are plans for a simple to build plywood ramp for dogs who have a hard time climbing stairs. 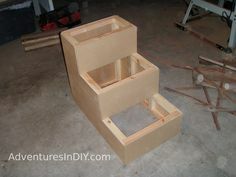 Learn how to build a dog ramo that is easy to store, costs around $60.00 to build and can be built in a single weekend. 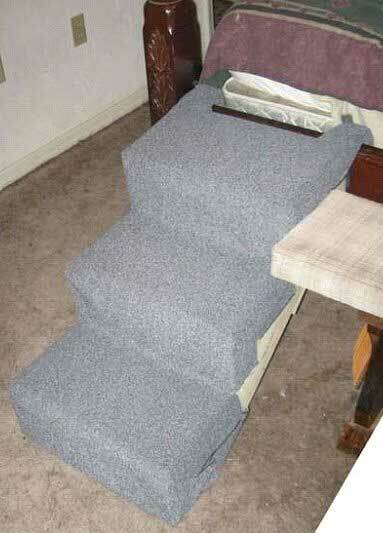 Simple plans for building inexpensive and light weight doggie stairs to help your dog up onto the bed. Easy to follow plans for this strong and sturdy dog ramp built out plywood with tread and carpet applied. Here are detailed plans to help you build a dog ramp that will give your pet easy access to a bed, chair and more. 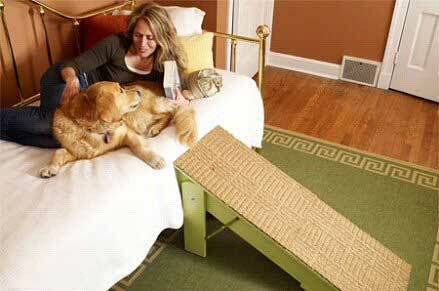 This ramp is designed to help your pet in and out of the car plus it folds away neatly when not in use. 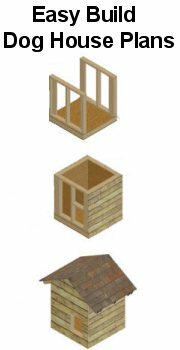 Here is a step by step tutorial with illustrative pictures to help you build a set of wooden stairs for your dog.